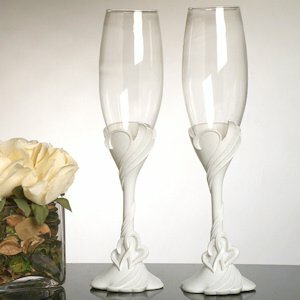 The simple swirl design and two entwined hearts make these toasting flutes a perfect complement to any wedding decor. 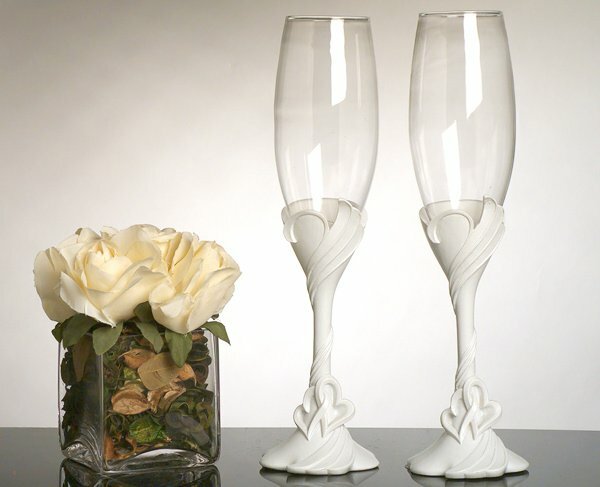 Each toasting flute measures 10" high and features a clear glass flute cradled in a white polyresin base. Matching reception pieces are available for this set, or purchase all the pieces together in our Two Hearts Bridal Set. Sold as a set of 2 flutes.